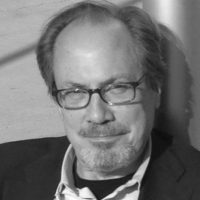 Donald B. Lehr is President of The Nolan/Lehr Group, a communications consultancy based in New York. Lehr has worked with NGOs in the UN Framework on Climate Change negotiations since 2005 and is currently a consultant for the Climate, Land, Ambition, and Rights Alliance, the Fondation Franz Weber, and the David Shepherd Wildlife Foundation. This excellent analysis of COP 23 sheds valuable light on what climate talks achieved in 2017 and the many key details that remain unclear.